In a medium saucepan, combine the milk and cream. Split the vanilla bean and scrape out the seeds. Stir the seeds into the milk mixture. Over medium heat, bring the milk/cream mixture to a slow boil. Reduce heat to low and simmer for 30 minutes, stirring occasionally. In a large bowl, combine the eggs, yolks and sugar together. Using a mixer, beat the eggs until the mixture is thick, smooth and pale yellow in color, about 2 minutes on medium speed. Remove the vanilla bean pod from the milk mixture and pour out a cup of the hot milk/cream mixture. Reduce the mixer speed to low and slowly add the hot milk to the egg mixture. Be sure not to scramble your eggs, so add the milk in a slow steady stream while mixing the eggs on low speed. Mix until combined. Then pour the egg mixture back into the saucepan with the remaining milk/cream mixture and stir to combine. Cook, stirring constantly, over medium low heat until the mixture is thick enough to cover the back of a spoon. Transfer to a bowl, cover and chill completely. When chilled, turn on your ice cream maker. Pour the chilled custard into the bowl and churn according to your manufacturer’s instruction. About 5 minutes before completion add in the crushed Oreos and keep mixing. Add in the Baileys in the final two minutes. 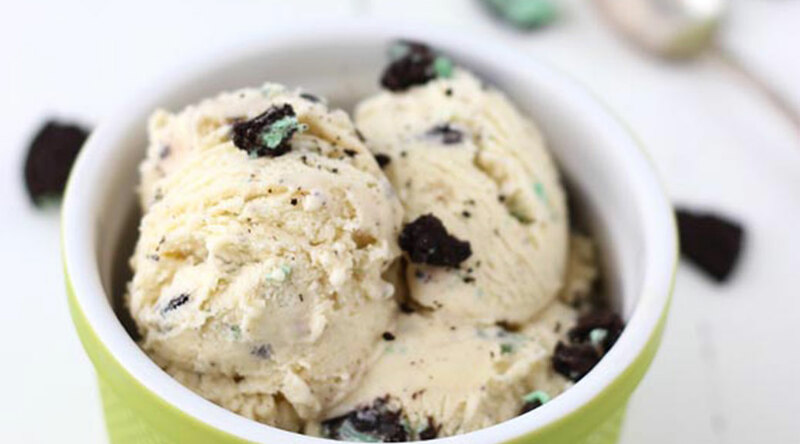 Transfer ice cream to a freezer safe bowl and freeze for about 3 hours or overnight. Sign up for our newsletter. Exclusive deals, great new wines and upcoming events.